Giovanni’s made to measure golf offers single day golf trips. Enjoy a round of golf in the area without bothers. Giovanni will personally pick you up in his minibus from your accommodation or from the airport and take you to some of the best courses in the North East of Italy. Once you played your round Giovanni will then drop you off at the location of your choosing. If you are visiting Northeastern Italy whether for vacation or business and think you might be interested in adding a game of golf to your days, then this package might just be the thing to satisfy your craving. Green fee, transport to/from golf course, club rental, golf shoe rental or purchase, Giovanni playing together. 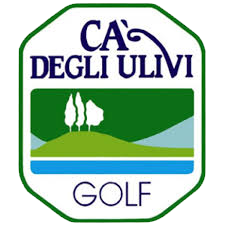 Gardagolf country club, Golf Club Franciacorta, Golf Club Bergamo “L’Albenza”, Palazzo Arzagagolf, GC Bogliaco, Chervò golf, GC Colli Berici, GC della Montecchia, GC Ca’ Amata, Asolo Golf and Country Club, Golf Club Villa Condulmer, GC Frassanelle, GC Padova, GC Ca’ della Nave, GC Jesolo, GC Folgaria and more. Please note that golfing out of Verona area involve extra costs. Why not add a tour of a wine tasting before or after your game? Giovanni can organise that for you!